I had to put it away. The same every lesson. Well, I somehow became an adult. Kind of. And so did Fingerboarding, it grew. Today the ambitious finger skater at best can smile about those little plastic beings from the states. Professional gear is a lot more these days and can cost just as much as the big brother under your feet. 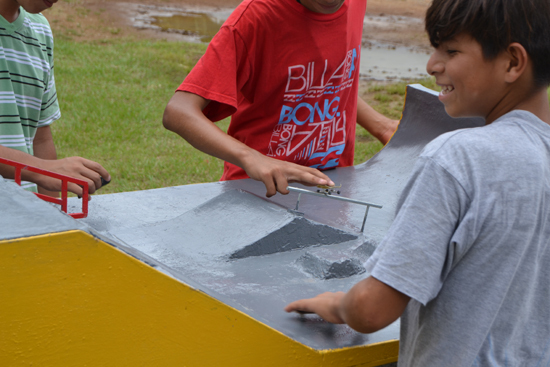 There are huge little skateparks, serious world championchips and even a street scene in fingerboarding. I guess at least in Germany Blackriver Ramps was and still is the main driver for this development. And so thought Larry. Years ago Larry screwed up his knee so bad trying to land a huge double stair set that he could not maintain serious skateboarding anymore. But still living for rush of it quitting was not an option. 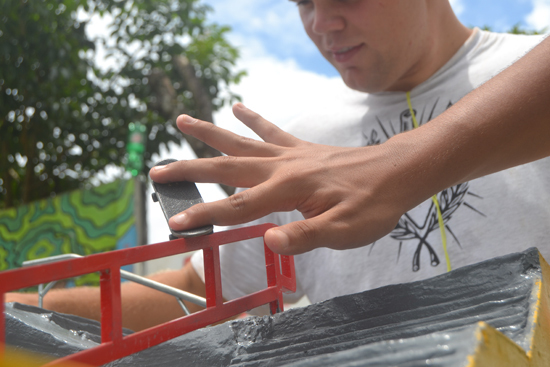 His solution: Fingerboarding. He dived so deep into the world of Fingerboarding that he normally did not leave his house without a Berlinwood setup in his pocket. And in all this countless sessions in the Blackriver Store in Berlin he managed to do stuff with his fingers that I still can’t completely understand nor even begin to copy. 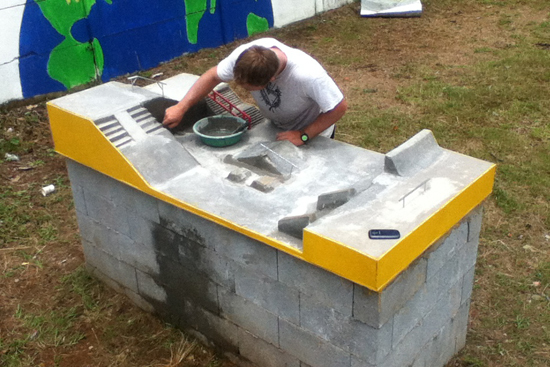 Also it was Larrys idea to built a finger skatepark for Pura Vida. 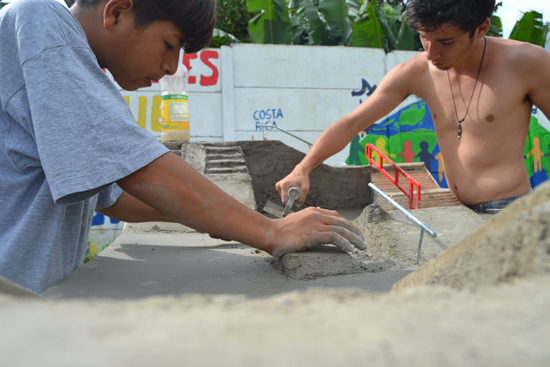 He wanted to visit me during my stay there so that we could built a hot little skatepark for the kids of Perez Zeledon. I was in. Unfortunately life doesn’t always play fair. Larry wasn’t blessed enough to see the beauty of CR with his own eyes anymore. He is now shredding little cloud ramps some place else. But at least the skatepark had to be built. Letting this project being undone was not an option. But the way there was surprisingly troublesome and long-winded. Of course we needed some nice fingerboards to start with. I did not like the idea of getting those cheap plastic pieces from the american dudes. No offense to Tech Deck, but it could be way better. Luckily, the boys and girls of Blackriver back in Germany thought the same way. An email was enough. A bit later I had 40 fingerboards of the finest quality and various metal rails in my hands and a bunge of tipps and instructions for a concrete skatepark, extra small, in my mailbox. We could have started. Theoreticly. In practice it took forever to get the permission to put this 1×2 meters concrete table permanently right next to the bowl. 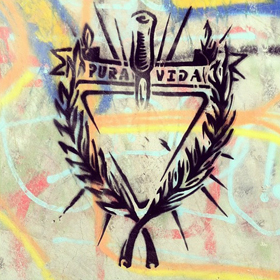 Well, it’s always PURA VIDA in CR, even in administrative matters. But at some point in August Marco, Michel and I could finally buy lots of building materials and kick off. 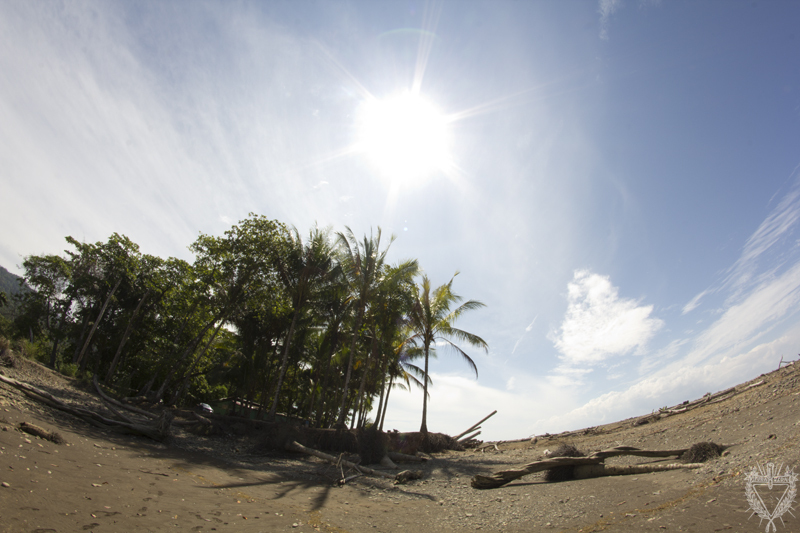 It’s a construction of wood and metal wires based on countless blocks covered with concrete. Even if we were surprisingly successful with the wooden construction, I was so lucky to have Johan, one of the older guys from the project, taking care of the concrete cover. Concrete is just not my material I guess. The result of all our work is just amazing. The park is so much fun to ride and it looks just sick. Every single dude that came by seeing it for the first time was like `A cachete, mae!‘ (which in this case basicly means: Awesome, dude!) The kids enjoy it very much, especially riding one of the great Berlinwood Setups they can get in the project. Sometimes there were more kids gathering around that concrete beast than skating in the park right behind it. After I left there even was a little news article about Larry’s Finger Plaza and the first contest. 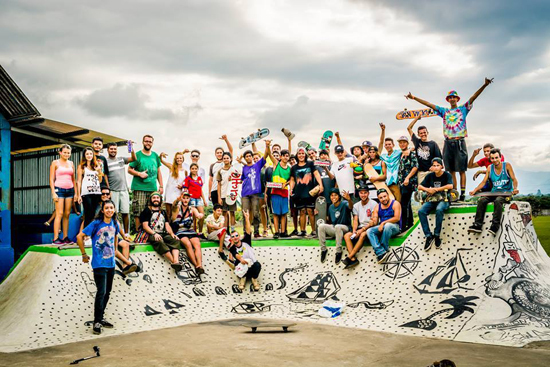 In the end I am really happy we could manage to finish Costa Ricas unique public Fingerboarding Skatepark. And I am grateful. Thanks to Marco and Michel for all their help constructing. And to the Circo Fantazztico for giving us their precious bussetta for transport. 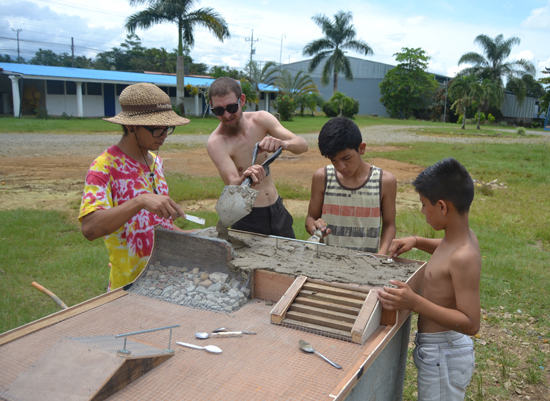 And a big thank you to the kids of the Pura Vida Projekt for helping, especially to Johan. And of course endless blessings to Blackriver Ramps for giving us all that stuff without any condition. Awesome! And, finally, thank you Larry. Larry’s Finger Plaza would not make those skater kids smile without you. 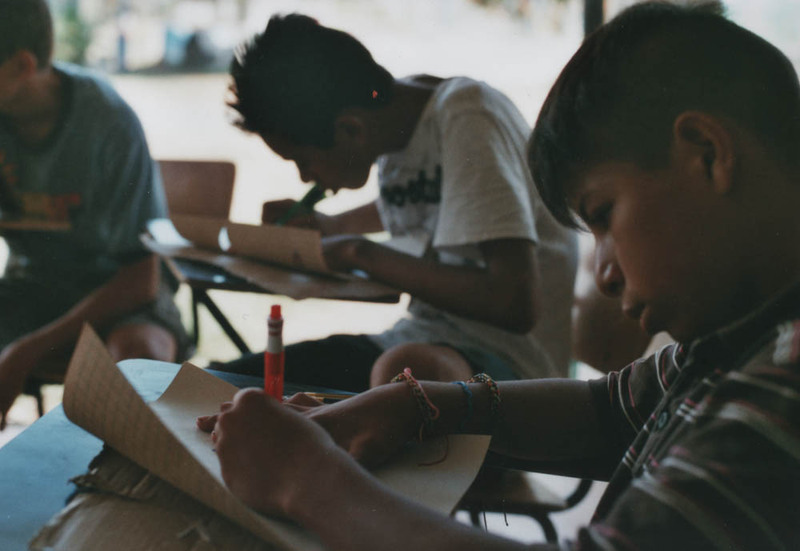 You were in Costa Rica somehow, doing something amazing for the kids, my friend. Thank you, what ever cloud-rail you’re smashing a FS Flip Hurricane Grind on now.